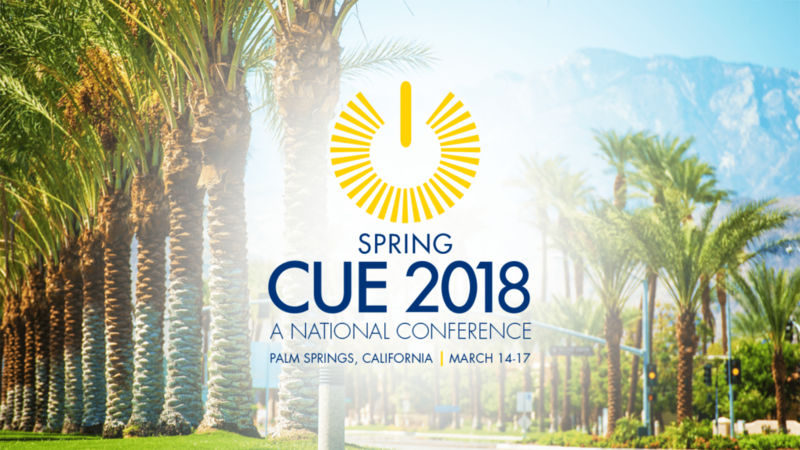 Explore how new technologies can enhance student learning at the Cue National Conference in Palm Springs from March 14th through 17th. Founded in 1978, CUE is an organization dedicated to inspiring student learning through digital media. The annual CUE conference is California’s premier education technology event, and provides educators, administrators, and students with opportunities to learn about innovative technologies and network with other education professionals. Visit KQED in the Exhibit Hall to explore our new service for inquiry -based learning and stop by our concurrent sessions to learn more about the role of technology in enhancing education. Discover how to use multimedia methods and resources to enhance student participation both in and beyond the classroom. Join KQED Science Education Manager Andrea Aust and News Education Manager Rachel Roberson as they explore how to use technology to connect classrooms. Learn how to create media projects in this workshop hosted by Andrea Aust and Rachel Roberson. This workshop centers on the role of digital media in helping students conduct science and humanities research. Engage with data visualization tools in this session with Rachel Roberson. Discover how students can share their data collection and analysis using digital methods. Join Andrea Aust and Rachel Roberson to learn about free digital tools and techniques that allow students to use technology in the classroom.